Professor Vallega’s work occupies a space between Western and non-Western articulate modalities of existing and ways of knowing. His research focuses on the configuration of identities, the delimitation of knowledges, and on the aesthetic dimensions of these, out of heterogeneous pluriversal forms of being in the world. Beyond traditional ideas of uni-versality, single origins, single rootedness, homogeneity, he develops an “aesthetic exilic thought,” a thought from the places, lineages, and memories of excluded, displaced, and subjugated lives and ways of being and of understanding existence. For some time now, he has focused on Latin American philosophy, philosophy of liberation, indigenous and popular thought in Latin America, and decolonial thought. He also continues to work in Ancient Greek philosophy, and in contemporary Continental philosophy (particularly, Martin Heidegger, Walter Benjamin, Hans-Georg Gadamer, Jacques Derrida, and Giorgio Agamben). His line of thinking becomes a decolonial task as soon as he questions identity and knowledge in light of excluded epistemic and existential ways that underlie but are covered over by the development of modernity from 1492 on. His work exposes the interdependence between racionality and conceptual understanding and aísthetic ways of knowing (affective, emotional, physical, temporal, spatial, and memorial pre-conceptual dimensions of conscciousness and understanding). It explores and develops ways and possibilities of unfolding critiques (out of distinct and concrete situations and experiences) that unsettle the disciplines and structures of power sustaining and perpetuating subjectivist rationalist modernity. Ultimately, his thought aims to go beyond transformative critic, by opening liberatory paths out of the affirmation of subjugated and obscured thinking and articulate ways of being. This path also aims for the transformative reinterpretation of the ideas of history and the humanities, in thinking towards a "decolonizing humanities" out of non-western concrete ways of living and knowing. Among Professor Vallega’s publications he is the author of three monographs: Heidegger and the Question of Space: Thinking on Exilic Grounds(Penn State Press, 1999); Sense and Finitude: Encounters at the Limit of Language, Art, and the Political (SUNY press, 2009-2010); and, Latin American Philosophy from Identity to Radical Exteriority (Indiana University Press, 2014). He is also the editor of the English edition of Enrique Dussel’s Ethics of Liberation (Duke U. Press, 2013), and coeditor (with Ramón Grosfoguel) of Anti-Cartesian Meditations and Transmodernity (The Hague: AMRIT Publishers, June 2018). Professor Vallega is editor for Latin America of the World Philosophies Series, published by Indiana University Press, President of the North America Society for Philosophical Hermeneutics, and, USA coordinator of the Sociedad de Filosofía y Liberación. Twice he has co-directed the Collegium Phaenomenologicum in Cittá di Castello, Italy, and is part of the Board of Directors. He is permanent faculty member of the Decolonizing Knowledge and Power School in Barcelona, faculty of the Diplomatura en Filosofía de la Liberación, at the University of Jujuy, Argentina, and, he also teaches in the graduate decolonial psychology program at the Pacifica Graduate Institute, California. Brenda Sendejo is a Chicana-Tejana feminist anthropologist and longtime resident of Austin, Texas. Sendejo draws on Chicana feminist theories and praxis in her research areas, which include the Chicana feminist movement and emergence of Chicana feminist thought in Texas, spiritual activism, and embodied ways of knowing. She recently published "The Space In Between: Exploring the Emergence of Chicana Feminist Thought in Central Texas" in Chicana Movidas: New Narratives of Activism and Feminism in the Movement Era (UT Press 2018). In it, Sendejo draws on archival and ethnographic research to demonstrate that feminist historian Martha P. Cotera and Austin’s Chicana Research and Learning Center were pivotal in the emergence of Chicana feminism in Central Texas, influencing the work of scholars including Gloria E. Anzaldúa and the development of Chicano/a Studies at UT Austin and beyond. Sendejo developed the concepts of Methodologies of the Spirit and Mujerista Ethnography, which she discusses in her manuscript, “The Face of God Has Changed”: Chicana Feminism and the Politics of Spirituality in the Borderlands”. 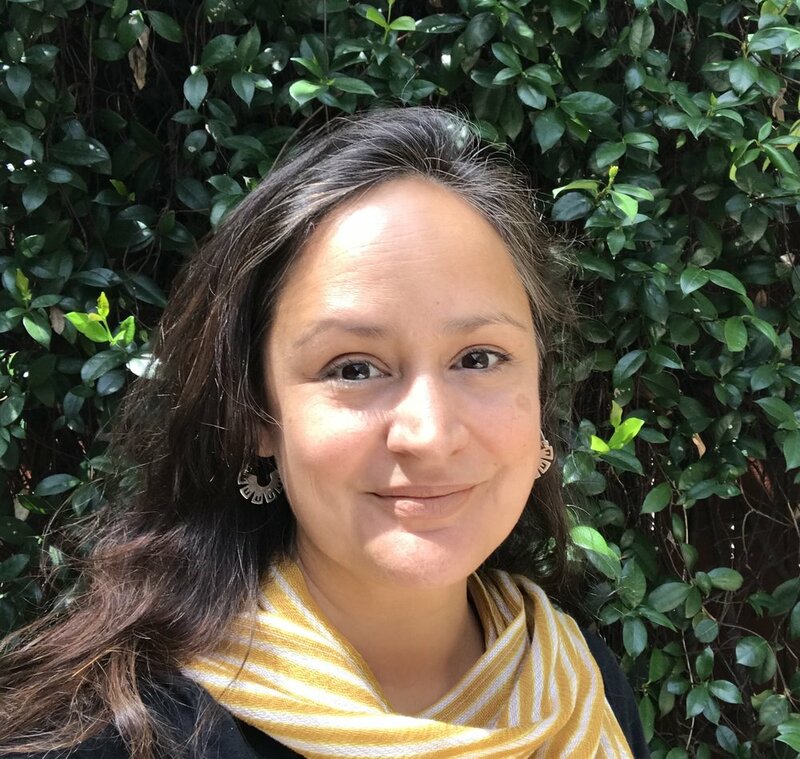 She employs feminist and decolonial pedagogies and methodologies as an educator-scholar and co-director of the Latina History Project, an intergenerational oral history/archival project that documents Chicana/o civil rights and activism in Texas since the 1960s. Sendejo currently serves as Associate Professor of Anthropology, Chair of Latin American and Border Studies Program, and affiliate faculty in Feminist Studies, Race and Ethnicity Studies, and Environmental Studies at Southwestern University. She is proud mami to her niños, Luna y Jude, and resides in Austin, Texas. Carolina Castro Jorquera, (San Felipe, Chile, 1982) curator and researcher, lives and works in Chile. She holds a Ph.D. in the department of Art History at the Universidad Autónoma de Madrid. Her interests are framed by the relationship that Art is able to establish with other disciplines, such as Science and Mysticism, as well as with the different dimensions of human consciousness and the role of this interplay in the construction of history and in defining the present. She has a degree in Art, has completed a Masters in Contemporary Art and Visual Culture in the Museo Nacional Centro de Arte Reina Sofia in Spain (2010) and participated in the 4th International Curatorial Course of the Gwangju Biennale (GBICC) in South Korea (2012). She writes regularly in her blog.caroinc.net, and collaborates with contemporary art magazines like Artishock, The Miami Rail, Latinxspaces and Terremoto. She also contributes to the website of the Colección Patricia Phelps de Cisneros (CPPC). His curatorial projects involve extensive research and commissioning of site-specific works, currently preparing projects with artists François Bucher (Colombia) and Deniz Gul (Turkey). In 2016 she was appointed curator of the Latin American independent spaces section PLANTA at the CH.ACO fair in Santiago, Chile, and a member of the curatorial board at BRECHA residence in Baja California Sur, Mexico. Among her last curatorial projects are “Zombi Mall” by the artist Ignacio Gatica at Die Ecke Gallery, Santiago de Chile October 2017; “Distaff” by the artist Juana Gomez at Michael Hoppen Gallery London, November 2017; "Water Event" by the artist Yoko Ono in the exhibition “Yoko Ono: Dream Come True” including works by Cecilia Vicuña and Enrique Ramírez at CorpArtes Art Center, Santiago de Chile, July 2017; Collective show “Grupo <11>” at Instituto Cervantes in New York, March 2017; Collective video screening “El canto de los árboles” at Centro Cultural Matucana 100, Santiago de Chile, July 2016; Collective show "La Buena Estrella" OTR Space Madrid, February 2015; "Instruction in a Circle" by the artist Rodrigo Arteaga at Sobering Gallery, Paris, France, April 2015. Frederick Luis Aldama was born in Mexico City to a Guatemalan/Irish American mother from Los Angeles and a Mexican father from Mexico City. Inspired by his mother’s tireless drive to make a difference in the Latino community as an elementary school teacher, he gained entrance to UC Berkeley then went on to earn a PhD from Stanford. Today, Aldama is Arts & Humanities Distinguished Professor of English, University Distinguished Scholar, and Alumni Distinguished Teacher at The Ohio State University. He is the author, co-author, and editor of 33 books. He is editor and coeditor of 8 academic press book series as well as editor of Latinographix, a trade-press series that publishes Latinx/Chicanx graphic fiction and nonfiction. He is producer and creator of the first documentary on Latinx comics. He is designer and curator of The Planetary Republic of Comics—a fully searchable website with thousands of entries on comics and creators from around the world. He is founder and director of the Ohio Education Summit Award, Columbus Council Award, and Obama White House Hispanic Bright Spot winning LASER/Latinx Space for Enrichment & Research. He has been inducted into the Academy of Teachers and National Cartoonists Society. Iliana is a filmmaker based in Austin, Texas and Mexico City. She was born and raised in El Paso, Texas by Mexican immigrant parents. A former Bill Gates Millennium Scholar, she holds a MFA in film production and directing from UCLA. She was a 2013 Film Independent Project Involve Directing Fellow and was selected for the 2013 TransAtlantic Talent Lab in Reykjavik, Iceland. Iliana has directed short documentaries, fiction shorts and a narrative fiction feature, DETAINED IN THE DESERT, which had its World Premiere at the 2012 Los Angeles Latino International Film Festival. In 2017, Firelight Media awarded her an Impact Producer Fellowship. In 2018, she was selected as a Berlinale Talent and most recently co-directed a short documentary, AN UNCERTAIN FUTURE, with Chelsea Hernandez. The short has screened at the 2018 SXSW Film Festival and won a Jury Award for Best Texas Short. It has also screened at the 2018 Aspen ShortsFest where it won the Youth Jury Award. María received her Ph.D. in Philosophy from the Colombian National University. She was Associate Professor at the Philosophy Department in the Universidad de los Andes, Bogotá, until she joined the Philosophy Department at DePaul. Her more recent work has also moved into the areas of memory, trauma and representations of violence with a focus on Colombian and Latin-American contexts. She used to collaborate with the Historical Memory Center in Colombia in producing reports on paramilitary violence and creating and consolidating Regional Historical Memory Groups, and she has now moved this expertise to Chicago in working with police torture survivors in the South Side of the city in coordination with the Chicago Torture Justice Center and the Chicago Torture Justice Memorials. She is the author of books on silence and art in German Romanticism (2006), on Wassily Kandinsky (2007) and a monograph on Friedrich Schiller and the political sublime (La tragedia como conjuro: el problema de lo sublime en Friedrich Schiller; U. Nacional de Colombia, 2008). She has also edited and co-edited volumes and special issues on Hegel (2008), Schiller (2008) Paul Klee (2009), Aesthetics and Politics (2010 and 2011), Recognition Theories (2010), Contemporary Political Philosophy (2013), Law and Violence (2014) and Art and Memory in Colombia (2016). She has published in journals such as Angelaki, Derrida Today, Epoche, New Centennial Review, Philosophy Today and Research in Phenomenology on topics that include Hegel’s political philosophy, contemporary political debates on community, aesthetics, and the relationship between art, memory and political violence. She is currently working on a manuscript in Spanish on Narratives of Community in Nancy, Esposito, Agamben and Derrida, a monograph in English on Hegel (Fractures: Hegel on Law, Violence, Community and Memory), a compilation in English on F. Schiller (Aesthetic Reason and Imaginative Freedom: Friedrich Schiller and Philosophy, co-edited with J. Powell, forthcoming with SUNY, 2018), the transcripts in Spanish and English of a seminar held in 2013 with J.L. Nancy (Conversations on Community, Memory and Political Action, co-edited with J.L. Nancy and the Group on Law and Violence) and a volume on representations of mass atrocity (together with some of her colleagues in the School of Law at the Universidad de los Andes and Cathy Caruth at Cornell University). She is also preparing special issues on Philosophy in Colombia for Philosophical Readings (2018) and on Collective Temporalities for Diacritics (2019). Her most recent book project is titled Grammars of Listening and is an investigation on philosophical conceptions of trauma and memory in the 20th century. Mirasol Enriquez is an independent film and media scholar, producer, editor, and cultural worker who has devoted her career to community building through film and the other arts. She holds a Ph.D. in Cinema and Media Studies from UCLA, an M.A. in Cinema Studies from NYU’s Tisch School of the Arts, and a B.A. in Feminist Studies from Stanford University. Her scholarship focuses on Latina film producers, media production culture, and representations of race and gender in media. She has been a Research Scholar for UCLA’s Center for the Study of Women and worked on numerous Chicana/o arts projects for the university’s Chicano Studies Research Center. As an arts leader in Austin, TX, she was responsible for spearheading the Austin Public community media initiative at the Austin Film Society and she is currently a board member at Forklift Danceworks. Omar Rivera is Associate Professor of Philosophy and Affiliate Faculty of Latin American and Border Studies, Feminist Studies and Race and Ethnicity Studies at Southwestern University. His areas of research are Latin American Philosophy, Latinx Philosophy, Political Philosophy, Aesthetics and Phenomenology. His book Delimitations of Latin American Philosophy: Beyond Redemption is forthcoming with Indiana University Press. 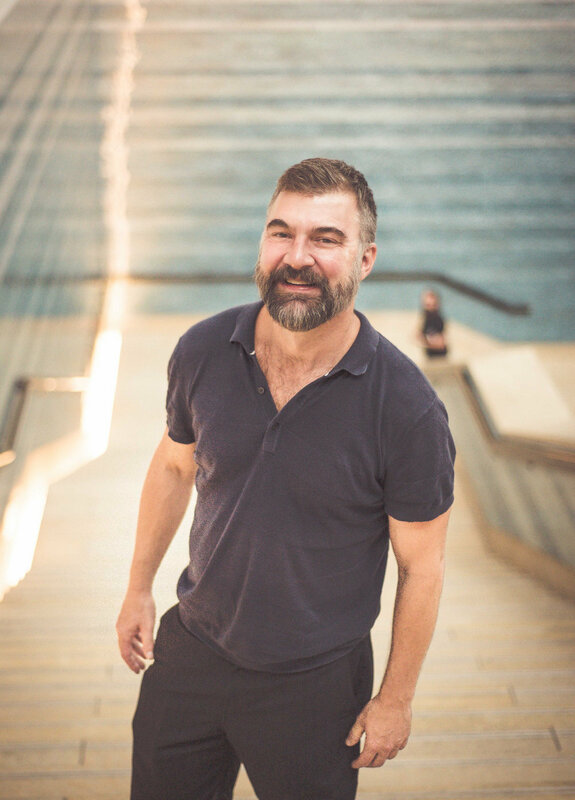 Patrick Hajovsky (Ph.D., University of Chicago) is Associate Professor of Art History in the Department of Art and Art History at Southwestern University, where he also serves as core founding member of the Latin American and Border Studies Program. His research focuses on pre-Columbian cultures of Mesoamerica and the Andes as well as indigenous artistic traditions from the Viceroyalties of New Spain and Peru. His book, On the Lips of Others: Moteuczoma’s Fame in Aztec Monuments and Rituals (University of Texas Press, 2015), examines how Moteuczoma’s name in Aztec monuments conveyed his divine presence according to indigenous concepts of fame. His upcoming publications feature colonial-period painting from Peru and Mexico, and Aztec aesthetics and notions of sacrifice.